Welcome to Edgemont homes, a collection of beautiful properties in one of NW Calgary’s most popular communities, boasting inspiring views of the Rocky Mountains and city skyline. Edgemont real estate is as convenient as it is scenic, offering a relaxed 20 minute drive into the downtown business core. Edgemont takes its parks seriously, with over 25% of the community’s lands dedicated to parks and pathways, which is well above the city’s primary requirements. As a result, this is one of Calgary’s greenest communities and enjoying the great outdoors is a part of everyday life for lucky Edgemont homeowners. Looking for Edgemont homes, but not sure where to start? Feeling a little overwhelmed? Let our site do the work for you! Register for free to create your own custom search, which you can save and adjust at any time! You can even get emails sent to you when new Edgemont properties matching your criteria are listed! Edgemont real estate is highly varied, offering affordable starter condos, comfortable family homes, and beautiful luxury properties. 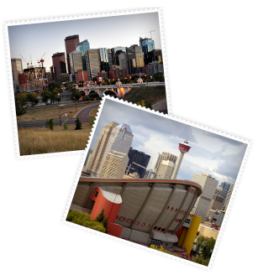 Edgemont’s diversity doesn’t end with its real estate, as the attractive community also has one of the highest immigrant populations in Calgary and boasts residents from many cultures and backgrounds. Edgemont is one of the best Calgary communities for accessing nature, with numerous parks located near Edgemont homes for sale. Within the town itself, a 30-kilometre network of parks and pathways are perfect for walking or cycling, while John Laurie Park is the ideal place for team sports and athletic endeavours. Edgemont also has the fortune of bordering Nose Hill Park, which offers 11 kilometres of leisure and recreation along natural grassland trails. Edgemont is home to Edgemont Elementary School and Mother Mary Greene Elementary School. Students in higher grades have public, private and Catholic school options in surrounding communities, making it easy for young learners to travel to and from school. We specialize in Edgemont, Calgary real estate. Shoot us an online message or call us at 403-968-1496. Let us earn your business!